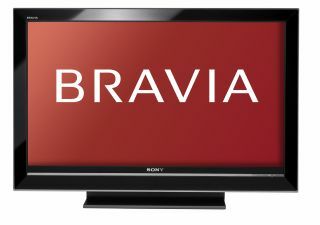 Sony has expanded its range of Bravia TVs to include eight different coloured versions of the 20-inch S3000. As well as the 20-inch model, there are also 26-inch variants joining the previously released 40-inch and 32-inch S3000 sets. In addition, Sony has also announced new W3000 Series, the V3000 Series and X3500 Series televisions. The S3000 cabinet colours range from classic black and silver to mocha, white and fuchsia pink. A powder blue option is also available, as is a model finished in deep mauve. Eugh. Sony says: "The exact shade of each colour was chosen both for its innate appeal and the degree to which it harmonised with a range of other colours". Right. Following on from the success of the W2000-Series, Sony has launched its successor: the W3000-Series. The range features 40-inch (KDL-40W3000), 46-inch (KDL-46W3000) and 52-inch (KDL-52 W3000) models, all showcasing an impressive array of new audio-visual technologies. The V3000 40-inch (KDL-40V3000) and 46-inch (KDL-46V3000) models feature Full HD and a 24p True Cinema and Theatre Mode plus S-Force front surround sound. Cine cameras actually film at 24 frames per second, but televisions operate at a higher frame rate, so conversion has traditionally been necessary. The result is a 4 per cent discrepancy from the original - the film on TV runs 4 per cent faster and the soundtrack rises by 4 per cent in pitch. When a V3000-Series set is connected to a film source such as a Blu-ray player, the original 24 frames per second are played just as the camera first recorded them. Also, by using a Sony-designed Wide Colour Gamut Cold Cathode Fluorescent Lamp (WCG-CCFL) backlight, the V3000-Series is able to produce approximately 30 per cent more colours than LCD TVs equipped with standard lamps can.